The holidays, trendy coats, and hot cocoa are some of the many perks that come with the winter weather. However, just like any other season, the winter definitely has its disadvantages. One of the number one cons of the winter weather for girls around the world, is the toll it takes on our skin, hair, and body. Living in New York where it is especially cold, my skin becomes dry, my hair becomes stringy, and my body becomes tired. Being a product junkie, I have tried (what feels like) every product out there for hydration and moisture. I am here to share some of my tips and tricks on how to survive these dreadful months and look glowing while doing it! The product I use the most year round that helps me in these dry winter months is Coconut Oil. I swear that Coconut Oil is straight from the heavens, there is not one thing that this miraculous oil cannot fix. Being a student, I am always looking for a good deal. Coconut Oil is so highly coveted that people are willing to spend big bucks on it, so stores overprice this oil constantly. I always look for an all organic/virgin oil, and I have found my favorite one at Trader Joes! Chapstick- I apply a dab of the oil to my dry winter lips and they are immediately healed. I also love to use it before applying a matte lipstick. Hair Mask- My hair becomes exceptionally stringy and dry in the winter, so once every two weeks I apply a decent amount of it to the ends of my hair and let it sit for an hour. It makes my hair so moisturized and healthy! Alternative for Olive Oil- In the winter months, it is easy to put on a few pounds. Coconut Oil is a healthier and less fatty alternative for Olive Oil. I also like to use it as a coffee creamer. Lotion- Coconut Oil is my lotion year round, but in the winter it is so hydrating to my dry skin. My favorite body part to use my Coconut Oil on is my dry legs, but I will also put it on my arms and around the dry parts on my face (which is my nose). Shaving Cream- This changed my life! I get ingrown hairs after shaving, and by replacing my shaving cream with Coconut Oil I have gotten 90% less ingrown hairs. It also works as a lotion while shaving, so it makes the skin extra smooth and less likely to get irritated by the dry weather. Aside from Coconut Oil, I also love using skin and hair masks from LUSH in the winter months. I apply a face mask once a week and a hair mask once a month. I deeply believe that the best products to use are the ones with ingredients that you could also eat! If you would not eat it, do not put it on your body. In the winter months, a shopper can find pretty much any product necessary at Lush in order to help with their specific beauty concerns. For me, I focus on opening up my pores and aiding my dry skin. For these concerns, my go-to product is the Mask of Magnaminty face mask. This mask is the perfect way to exfoliate the skin without being harsh or irritating, especially since the skin is extra sensitive in the winter. Some of the fresh ingredients in it include: Honey, Ground Aduki Beans, Peppermint Oil, African Marigold Oil, and Fair Trade Vanilla Absolute. Now that we have covered external beauty tips and tricks, I will dish out some tips to help keep the body and mind healthy (which is just as important, even though sometimes it may not seem so!). This may seem obvious, but many people overlook the power of water. It is easy to assume that water may not be as vital in the winter, because in the summer when you are hot and sweaty, you grab a cold glass. In the winter, we create artificially hot surroundings by using heaters, space heaters and bundling up. This causes dehydration in our body, and could be a big reason why you are always feeling tired or sick in the colder months. 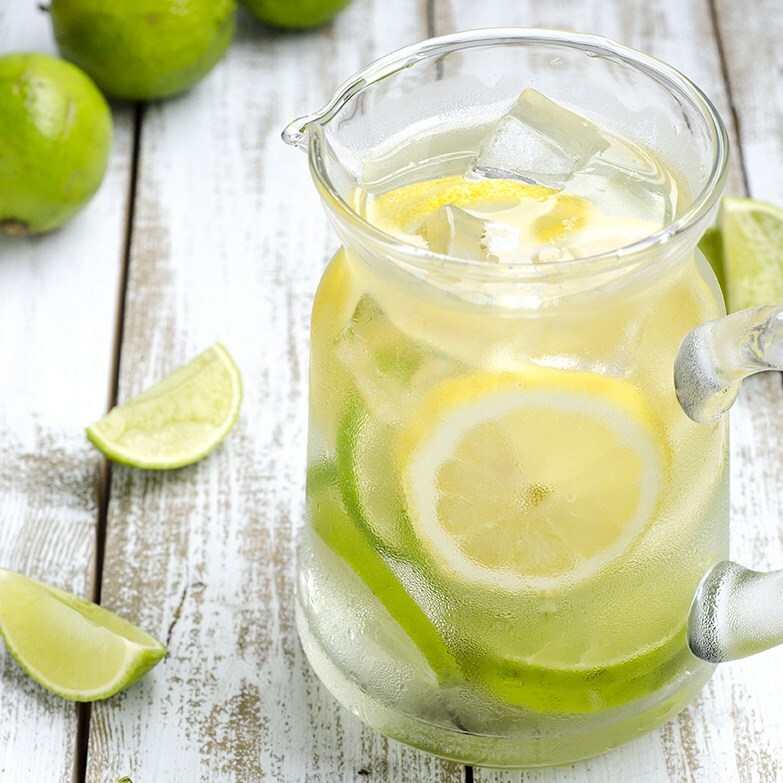 Drinking water does not have to be boring- add a lemon or fruit for some extra flavor. Green Tea also has so many health benefits, and could be a healthier alternative to the hot coco I previously mentioned. Green Tea helps increase the metabolism, prevents sickness, and provides stress relief. Last but certainly not least, do not forget to wash your hands. Germs mixed with the dropping temperatures are just setting you up for sickness. Washing your hands multiple times a day and carrying around a bottle hand sanitizer will help build your immune system and protect you from germs. Bath & Body Works has the yummiest hand sanitizer scents that will make getting rid of germs fun. Some of these tips & tricks may have seemed like common sense, but in the winter it is so easy to forget to take care of yourself! While trekking through the snow and thinking you may never see a warm day again (you will!!! ), do not forget to aid to your mind, body, and soul.